"I will create a private White House hotline – that is answered by a real person 24 hours a day – to make sure that no valid complaint about the VA ever falls through the cracks. I will instruct my staff that if a valid complaint is not acted upon, then the issue be brought directly to me, and I will pick up the phone and fix it myself, if need be." By Miriam Valverde on Thursday, August 9th, 2018 at 10:09 a.m. The Trump administration's veterans affairs hotline has received at least 107,600 calls since its launch in June 2017, according to the Veterans Affairs Department. The hotline started with limited hours before it became operational 24 hours a day, seven days a week in mid October. Though the administration calls it a White House hotline, calls aren't going to the White House, but rather to agents working out of a VA facility in West Virginia. Most of the staff are veterans or family members of veterans, and their job is to answer inquiries, provide directory assistance, document concerns about VA care, benefits and services, and to expedite the referral and solution of concerns, the VA said in a November 2017 news release. The hotline, (855) 948-2311, "provides veterans a supplemental option to report issues if they are not being addressed through VA's normal customer service channels," the release said. Former VA Secretary David J. Shulkin in November said the hotline allowed veterans to talk to live agents who could "answer their needs and concerns." Some veterans have found it useful, while others have described it as "just another layer of bureaucracy." An Aug. 5 Washington Post story chronicled a day's work for an agent. The agent's ability to help veterans was limited. When an Air Force veteran called to report an error in a bill, the agent could not see in her system why the bill was sent; she couldn't access his benefits or medical records even with his permission; and couldn't call the provider to inquire about it, the newspaper reported. "All she could do was type his problem and send it to a different team in a different place that would respond in approximately 60 business days, if it responded on time," the Washington Post story said. The VA told PolitiFact that between Oct. 15 (when the hotline became 24/7) and July 27, the hotline has classified 29,126 cases as concerns, and 25,953 of those cases have been resolved. In July 2018, the average was 24 days for resolution, the department said. "The hotline serves as an important feedback mechanism that allows VA headquarters officials to identify trends more quickly than before. It is also the only VA contact center that provides enterprise-wide complaint, compliment and recommendation intake," the VA said in a statement to PolitiFact. The Trump administration launched a number for veterans to call and voice their complaints, as Trump promised. We rate this pledge as Kept. By Allison Colburn on Wednesday, August 23rd, 2017 at 10:42 a.m.
Just a few days before President Donald Trump's initiative to create a 24-hour White House complaint hotline for veterans was set to launch, the Department of Veterans Affairs announced it would push back the opening by two months. The reason? The VA said it wants to stop using a third-party vendor to operate the the hotline service and instead staff the service with veterans and VA personnel, according to an Aug. 11 news release. 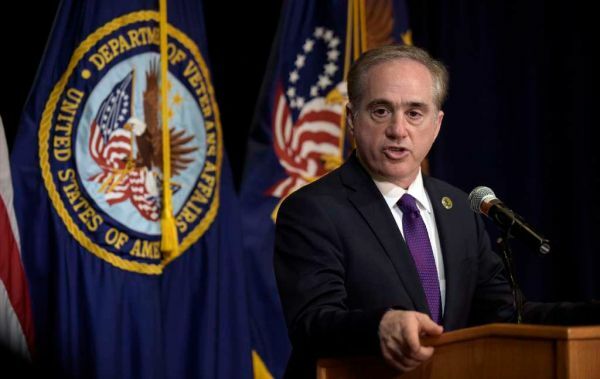 "The message we've heard loud and clear is veterans want to talk to other veterans to help them solve problems and get VA services," VA Secretary David Shulkin said in the release. In the meantime, a pilot hotline that launched June 1 is still available from 8 a.m. to 5 p.m. Eastern Time on Mondays through Fridays. It can be reached at (855) 948-2311. But since its rollout, the hotline has been criticized for not meeting the initiative's original goal — to ensure complaints about the VA don't go unresponded to by creating a "private White House hotline." The goal is among Trump's 10 steps to address the VA's history of problems. Trump has said he would answer phone calls if no one else was available to address complaints. One veteran, Thomas Fant, told the Military Times that his experience with the hotline led him to feel that the hotline was just another VA hotline rather than a way to reach out to the White House. His complaint was passed on to VA staff and later marked "resolved," even though the complaint was not addressed. "My impression is it turned out to be another layer of bureaucracy instead of simplifying things," Fant said. Haley Scott, deputy director of communications for Iraq and Afghanistan Veterans of America, said she hasn't heard any feedback about the hotline from the organization's members. The hotline cost $190,000 to launch. The department estimated it would take $5,700 per month to operate. The latest estimate to staff the hotline is $150,000 a month. Given this hiccup, it appears we may have jumped the gun on our previous rating of Promise Kept. As we wait to see how things develop, we're moving this promise to In the Works. Editor's note: This entry was updated 4:45 p.m. ET, Aug. 23, to reflect the agency's latest cost estimate for staffing the veterans hotline. By Louis Jacobson on Thursday, June 15th, 2017 at 5:08 p.m.
President Donald Trump's administration completed a "soft launch" of its promised 24-hour White House hotline for veterans on June 1 and began taking calls from veterans with complaints or concerns. The veterans' hotline is among Trump's 10 steps to address the VA's history of long wait times and other problems. Veterans Affairs Secretary David Shulkin made the announcement at the White House on May 31, 2017, the day before the official launch. "We're going to be testing that system, starting tomorrow, and fine-tuning it over the next several months, with the goal of it being fully operational by Aug. 15," Shulkin said. The phone number for the hotline is (855) 948-2311, and for now, it's open between 8 a.m. to 5 p.m. Eastern Time. The hotline is designed to "collect, process and respond to the complaints of individual veterans in a responsive, timely and accountable manner," Department of Veterans Affairs officials told Military Times. Reporters who have called the line have had their calls picked up. "On Day 2 of Donald Trump's new veteran hotline, calls were being answered by live operators after a 20-minute hold — at least when the San Diego Union-Tribune tried it at 9:30 this morning," wrote Jeanette Steele, who covers military affairs for the newspaper. Some 22 Department of Veterans Affairs staffers fielded about 400 calls on the first day, Steele was told when she called. The current phase of the launch will cost $190,000, primarily for the purchase of hardware, with the pricetag reaching $5,700 a month for recurring access and maintenance costs, Military Times reported. While full 24/7 coverage is scheduled to start in about two months, it's clear that the line is up and running. We'll reconsider our rating if the line proves to be insufficient to meet demand, but for now, we rate it Promise Kept. Donald Trump said he'll give up time on Twitter to man a veterans' hotline aimed at ensuring that valid complaints about the Veterans Administration don't fall through the cracks. "I will create a private White House hotline. This could keep me very busy at night, folks," Trump said on July 26 during the Veterans of Foreign Wars Convention in Charlotte, N.C. "This will take the place of Twitter. A lot of truth to that." Trump has repeatedly promised to set up a 24/7 hotline for veterans that would be answered by people. He's even said he will pick up the phone himself if it comes to it. This isn't an entirely new promise, though. During the Republican primary in July 2015, Trump rolled out a similar hotline number (855-VETS-352) and email address ([email protected]) for veterans to share stories about reform. If you call the hotline today (Jan. 3, 2017), it bounces directly to a voicemail, which prompts the caller to email [email protected]. Other news outlets reported the same outcome as early as last year. The veterans' hotline is among Trump's 10 steps to address the VA's history of long wait times and wrongdoings. Much like Trump's first attempt at this idea, he will need to create a point of contact for veterans to call. He can revamp the old hotline, and hire 24/7 staff, or start completely over with a new White House line. Trump has said he will answer the calls if no one else is available to hear the complaint. We don't know enough about this promise to attach a concrete cost to this promise, but if Trump's goal is to have a person, not a computer, answer the phone, then the government will have to pay individuals to man the phone. It won't be hard for Trump to establish a hotline number, but it may be difficult to ensure an actual person is answering the phone.